Each year, a half a million low-wage guest workers enter the U.S. on a myriad of temporary work visas. Many of these guest workers are at the mercy of a single employer for both their job and their legal status in the U.S., making them especially vulnerable to human trafficking. This structure has led anti-trafficking and worker advocates to compare guest worker programs to indentured servitude and even slavery. Guest worker programs involve a labyrinth of temporary visa categories and federal agencies, each with its own rules and processes. As a result, data on these programs is inconsistent, hard to locate, and, in most cases, completely unavailable. This lack of transparency poses an obstacle to trafficking prevention efforts while helping traffickers to operate in the shadows with impunity. Today, a bipartisan group of congressional leaders introduced the Visa Transparency Anti-Trafficking Act, a bill that will help to shed light on the nation’s guest worker programs. The legislation would require that basic information about guest worker programs, including the employer, occupation, and wage rate of every guest worker in the nation, be collected by the various agencies involved in regulating these programs, and would make that data available to the public through a central database.  FNUSA supports the Visa Transparency Anti-Trafficking Act and encourages Congress to pass this critical legislation. FNUSA Executive Director, Jean Bruggeman, notes “Guest workers bring critical skills, experience, and hard work to the American labor force. We must build a transparent system to ensure that all workers in the U.S. are afforded protection from abuse and exploitation, from sexual harassment and assault to wage theft and labor trafficking.” After outlining the rampant abuse in the H-2B program in a 2015 Op-Ed in The Hill, Jean Bruggeman and Southern Poverty Law Center attorney, Dan Werner, demanded that Congress pass legislation to increase transparency to stem the abuse of these programs. By passing the Visa Transparency Anti-Trafficking Act Congress will do just that. Call your Senators and Members of Congress today and tell them to support the Visa Transparency Anti-Trafficking Act.